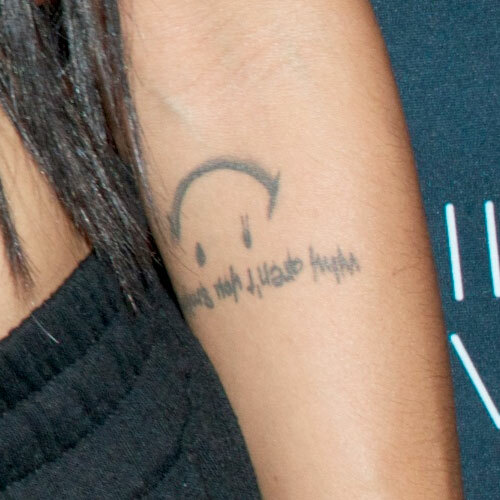 Mila J has a tattoo on her left forearm of a smiley face and the phrase “why aren’t you smiling?”, which is something that was said by her deceased brother Miyagi Chilombo. 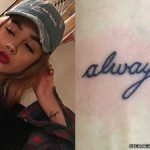 Her sister Jhené Aiko has this saying on her wrist. 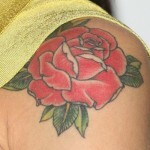 The tattoo faces inwards towards Mila, so it looks upside-down most of the time. 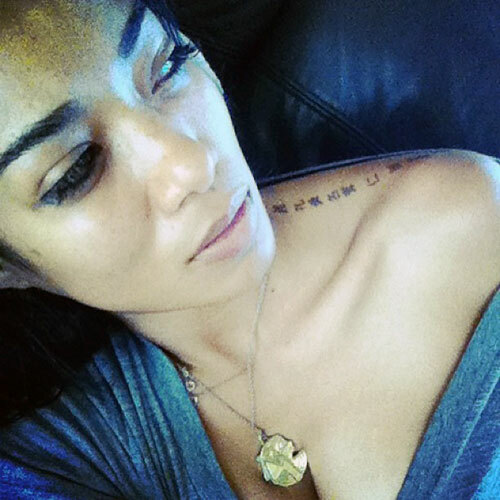 Mila J has Japanese writing tattooed along the top of her left shoulder. It is the seven virtues of Bushido, the principles of Japanese samurai warriors. These virtues are: righteousness (義), courage (勇), benevolence (仁), respect (禮), honesty (誠), honor (名誉), and loyalty (忠義). 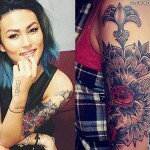 She got this tattoo in memory of her deceased brother Miyagi Chilombo, who died of brain cancer in 2012. 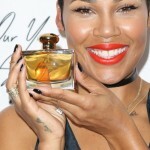 He had the 7 principles of the samurai on his back and their sister Jhené Aiko has the same tattoo on her leg.